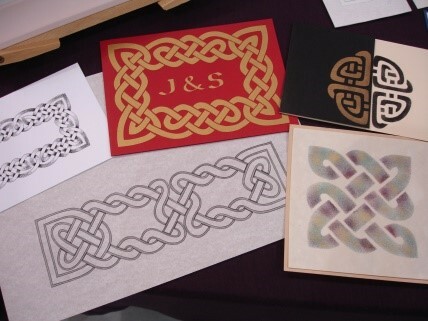 This workshop was an opportunity to learn how to unravel the intricacies of the Celtic Knot and design your own knotwork pattern. 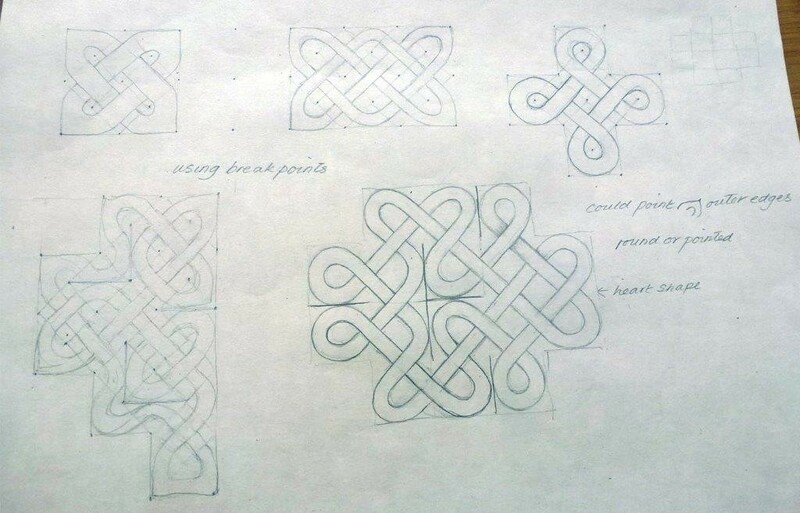 With a few simple rules and a square grid students discovered how to construct the simplest knot and then build on this to make more complicated patterns as the day went on. The patterns could be used with calligraphy, stone carving, lino cuts, stencils, embroidery, knitting or just on their own as a beautiful design.